Since I ran north last week, I figure I should try running as far south as I feel up to. Though I have not logged many running miles this week, I have hiked 8.5 miles and spent a good amount of time in the water....and my body IS feeling it. Running south gives me several opportunities to turn back earlier without going back the way I came, but my goal is to at least run to where the Highway and Lower Honoapi'lani Road converge. That point is not nearly as far as I expected, nor is the run south along the highway nearly as interesting as heading north. The intersection is not even five miles from the hotel, but, figuring that the return trip will still be longer due to twists and turns, I decide to turn on to the lower road. Shortly after starting north, I see a sign to my left for Coastline Access just before I reach the Ka'anapali Beach Club. I follow the access road south and west and reach the beach. A walking path continues to the south towards Black Rock, but I see that I am now over 5 miles into my run...no need to extend it further. 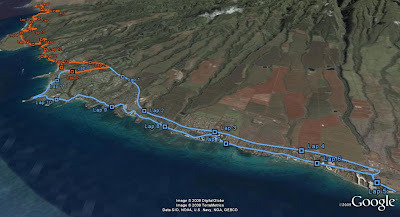 I return to Lower Hoanapi'ilani Road and run north through Honokowai. 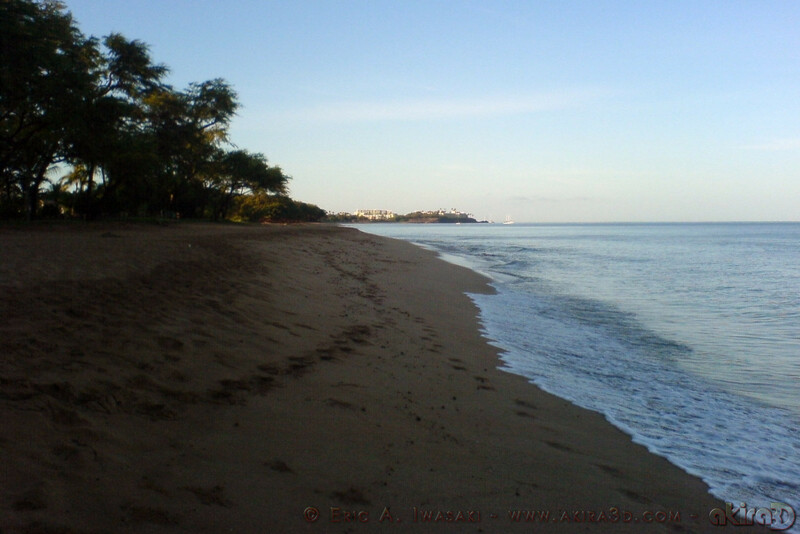 When I reach Kahana, I stop briefly to check out the Sands of Kahana, the first place I ever stayed on Maui decades ago. I do not think it has changed much. Just north of the Sands of Kahana, I meet up with the stretch of the lower road I have previously run a few times before. Looking at my watch, I realize this run will be much shorter than last week's 13+ miler. 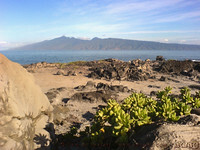 Having hiked the Kapalua Coastline Trail on Sunday, I know I can extend the distance by taking a scenic detour. 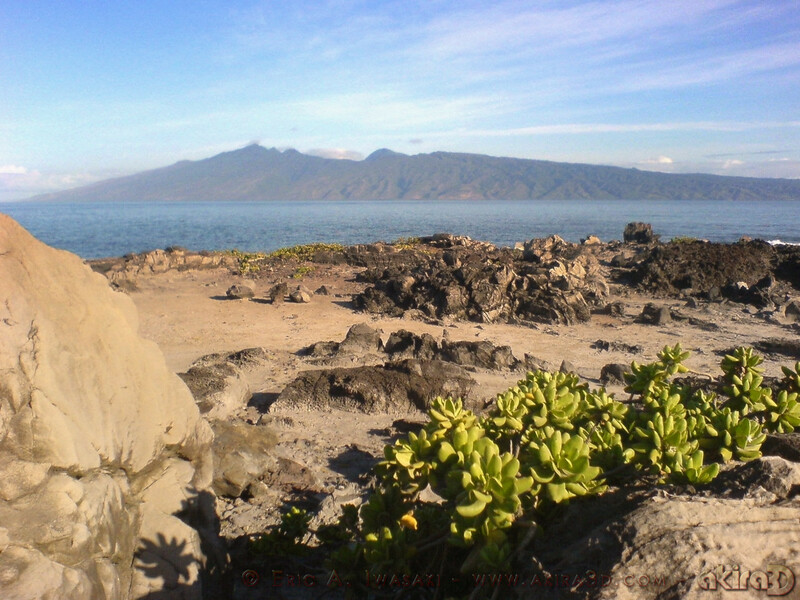 The southern trailhead is at Kapalua Bay, just below Merriman's. The initial path is a concrete sidewalk, but it eventually transitions to gravel and even turns on to a peninsula of lava rock. From there, the path is not as clearly marked with an uneven rocky surface. My pace drops as I cross the rugged terrain...and even moreso as I come to a series of descending rock steps. The trail continues along a raised wooden platform that ends at a staircase leading back up to Lower Hoanapi'ilani Road. I rejoin the road very close to its intersection with Office Road and my final destination, The Ritz-Carlton, Kapalua. This nearly mile-and-a-half detour brings the total distance of this orbit to a respectable 11.5 miles. Time for pancakes!